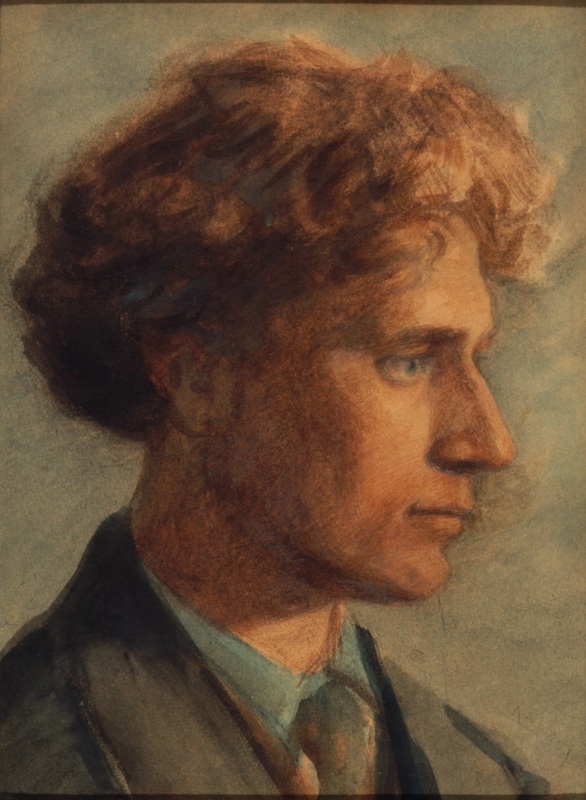 Percy Grainger was well-pleased with a likeness the celebrated Danish academician Knud Larsen (1865-1922) made of him during a visit to Jutland in 1909—and the Museum’s collection includes not just the finished watercolour painting but the preparatory drawings as well. With pencil, Larsen familiarised himself with Grainger’s features and captured contrasts of expression. 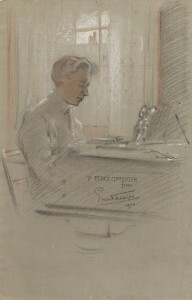 One sketch of the musician in profile freezes a wistful, unselfconscious expression, seemingly executed seconds before the posed finished work, which exudes self-confidence—the two appearing almost filmic in sequence. The Grainger Museum collection holds more than 600 works of art, a significant proportion of which are portraits or representations of people engaged in some kind of activity. 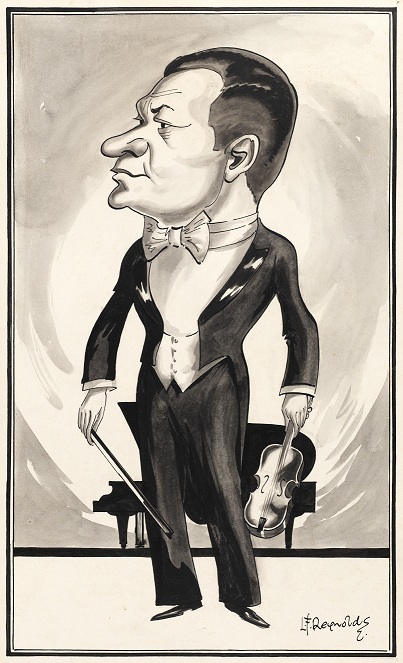 Many of these, naturally, depict Percy Grainger himself, but family, friends, acquaintances, fellow musical personalities, admirers and people who influenced Grainger are also represented. The stylistic approaches of the artists whose works are represented in the exhibition Water, marks and countenances: works on paper from the Grainger Museum collection range vividly from the formal commissioned work straight out of the halls of the academy—to the irreverent and light-hearted barrack-room caricature. Up until the late 19th/early 20th century the two primary expectations people had of a portrait were that it provide a physical resemblance, and disclose something about the sitter: an indication of their character, their social standing or perhaps occupation. 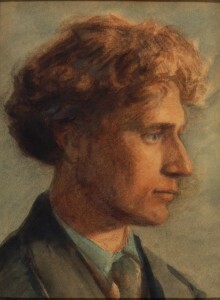 There are an abundance of early portraits of Percy Grainger in the Grainger Museum’s collection, for example, that depict him golden-haired, youthfully serious and impeccably dressed, seated at a piano or holding an instrument or a sheet of music—thus announcing to all those viewing the picture that they are looking at a portrait of a musician, and probably a famous one at that. The most iconic of these of course is Rupert Bunny’s large scale oil painting of 1902—but the drawings and sketches from the same period in this exhibition present a rather more personal quality. 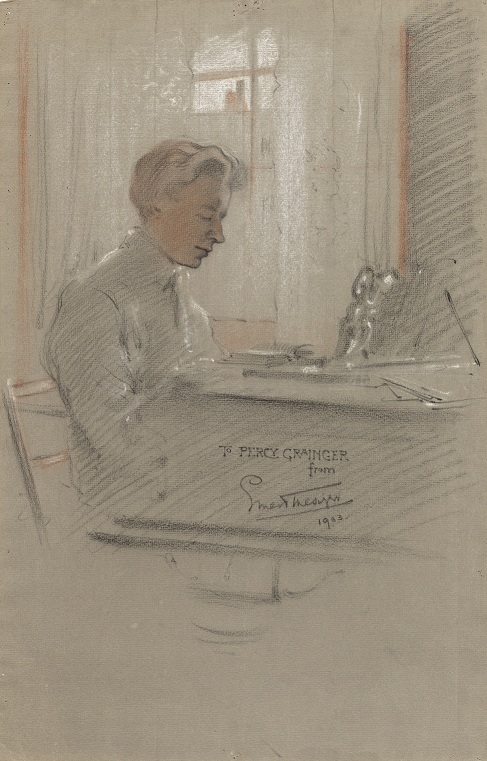 The famous British actor Ernest Thesiger (1879-1961) made several appealingly gentle pastel portraits of Grainger during their years of friendship in London. Thesiger, who was himself an amateur musician, had studied painting and drawing at the Slade School of Art. In 1901, South Australian-born artist Mortimer Menpes (1855-1938) invited Grainger to perform in his palatial London studio to a very select group of potential patrons. Menpes had been making portraits of wealthy aristocrats and cultural luminaries. His formal portrait of the irascible artist, James McNeill Whistler, included in this exhibition, was one of a series he executed of his friend and one-time mentor, before the two men had a cataclysmic falling out. The development of mechanised image-making in the nineteenth century brought with it a challenge to the whole notion of portraiture as an artform with the advent of the formal, posed photograph having a significant impact upon the style of images rendered by the artists’ hand. The latter started to take on different, more private or intimate functions. 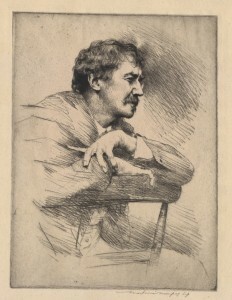 Artists began to feel able to explore series of ‘dashed off’ sketches of their friends or models (or strangers across the room) as a legitimate subject for exhibition. 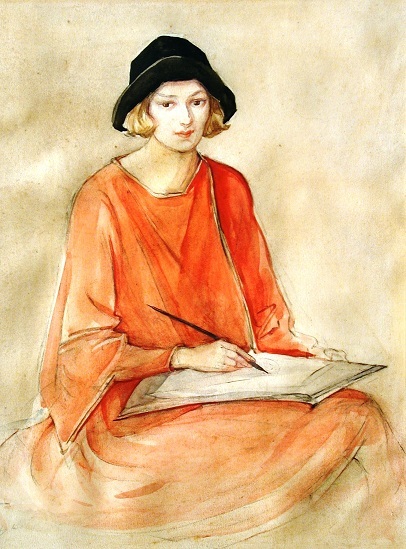 Augustus John (1878-1961), for example, was particularly renowned for his spontaneous style of portraiture in which he produced simple line drawings that successfully managed to capture his sitter’s essence. 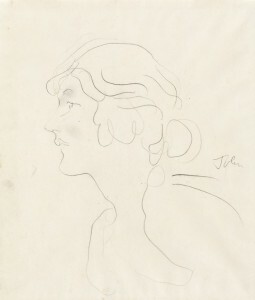 The fragile, almost ethereal drawing of Grainger’s wife Ella, executed on washroom paper towelling, is indicative of this style. 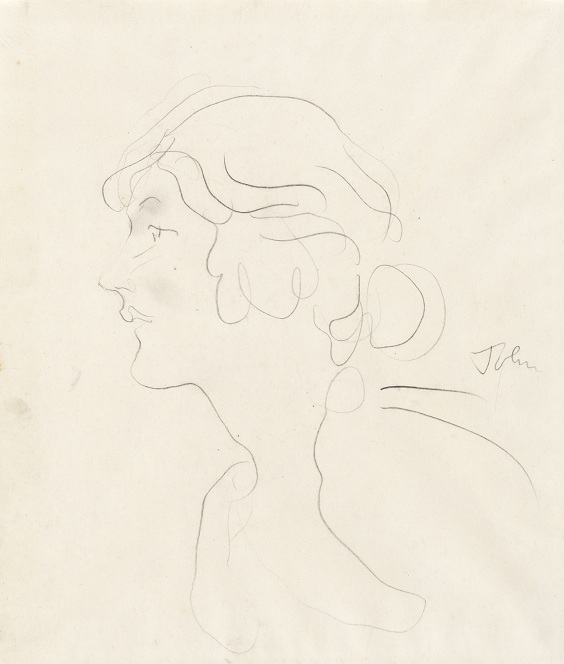 Ella met Augustus John while she was studying at the Slade School of Art in London in around 1914, more than a decade before she met Grainger. 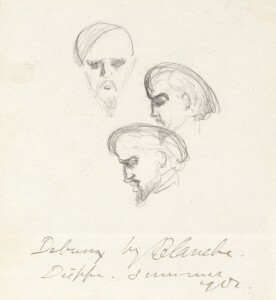 Jacques Emile Blanche’s idiosyncratic little sketches of Debussy dated 1902 in Dieppe are bare scratchings of pencil on rough paper, yet they capture perfectly the composer’s distinctively identifiable quiff. The drawings hint at a private occasion or conversation long hidden from the contemporary viewer. Grainger credits Blanche with having introduced the music of Debussy to him. Perhaps Blanche made these drawings while talking with Grainger when the two were holidaying in Dieppe in 1902. A number of witty caricatures of Grainger and other significant musical personages of his time, such as the internationally acclaimed violin virtuoso Efrem Zimbalist, are also displayed in this exhibition. 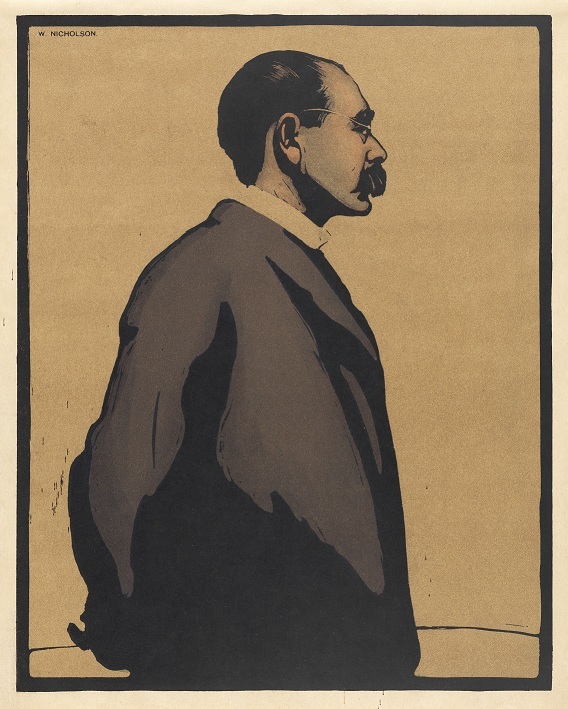 Prints by well-known (and not-so-well-known) artists include a beautifully executed and rarely exhibited lithograph by William Newzam Prior Nicholson (1872-1949) depicting a pensive Rudyard Kipling—who was one of Grainger’s major influences. Also of significance is a series of delicate watercolours portraying women by Melbourne miniaturist Bess Norriss Tait (1878-1939). Viewed together, these ‘countenances’ span almost a century of styles and provide an interesting insight into the history of the portrait genre. The title quote is from Marcus Tullius Cicero (106-43BC). Letter from Percy Grainger to Rose Grainger, 13 September 1909. Letter from Percy Grainger to Ernest Thesiger, 25 December 1909.